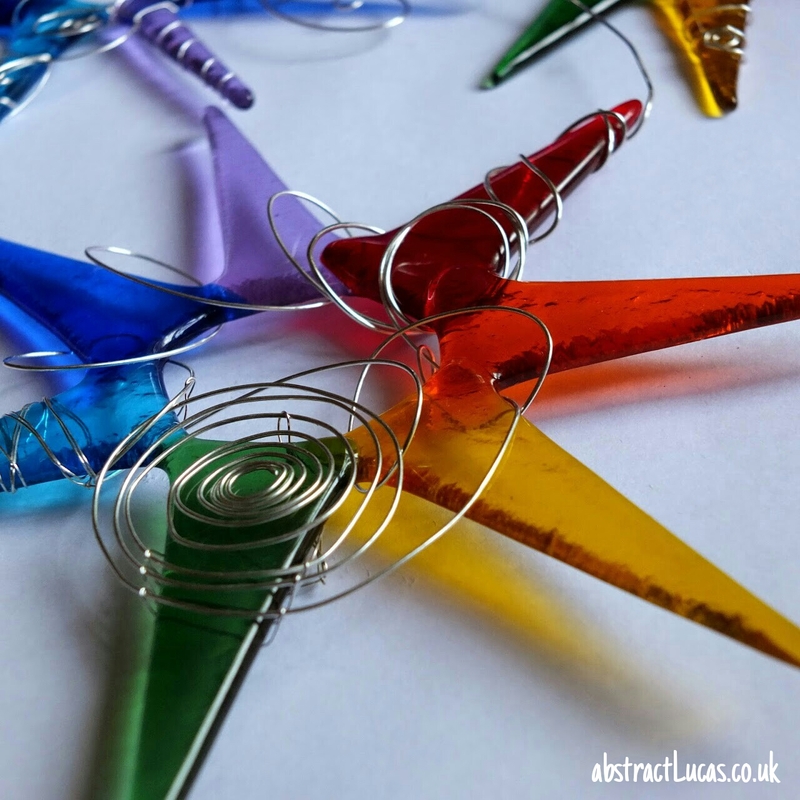 These wire wrapped fused glass stars have been hugely popular in my Folksy shop - they're really lovely to hang in a window as the light shines through and you get multicoloured slivers of light dancing around the room. I started off making a Frozen Ice Star, for a friend whose son particularly enjoyed the film. He was very clear that there should be no pink though, so I picked out the other colours that were all over the posters and the books and the clothes and the pencil cases and the jigsaws and the magazines and the wellies. I worked out about how big I wanted the final piece to be, then cut a few long triangles out of each colour glass, and rearranged them on the kiln shelf until they looked about right. I didn't want the star to be completely flat as I thought it would look more spiky and icy if each individual piece could still be seen, so instead of a full fuse (up to 804°C) I instead ran (what I think of as) a contour fuse programme (up to 798°C). 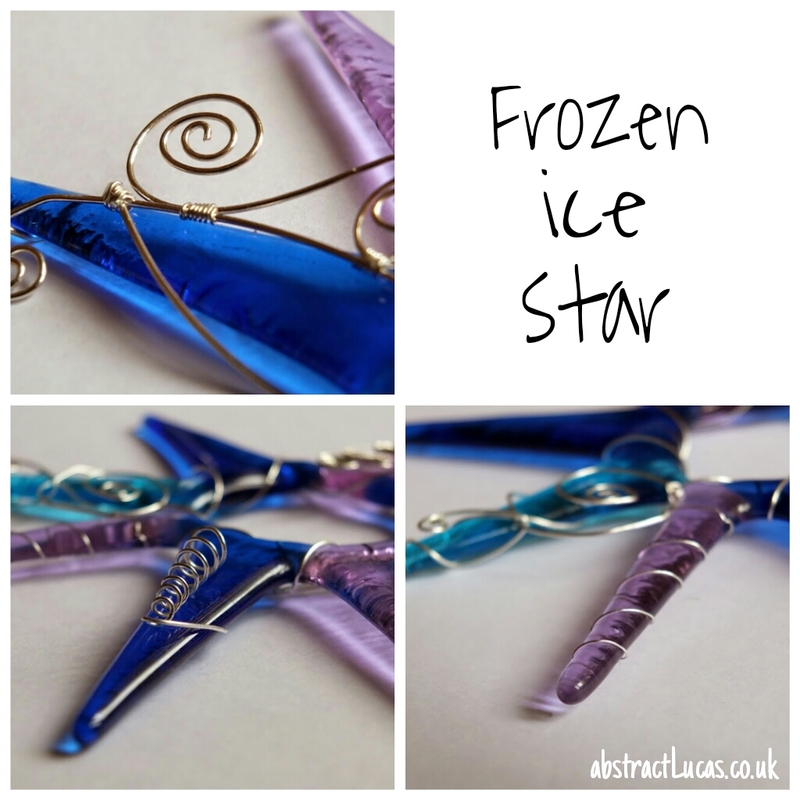 Having fallen in love with the shape and shine of the Frozen Ice Star, I decided I would try a few more versions - my thinking was that they would make fab christmas presents, and even double up as christmas decorations - can't you picture them hanging from the tree, or across a window, intertwined with twinkly lights? 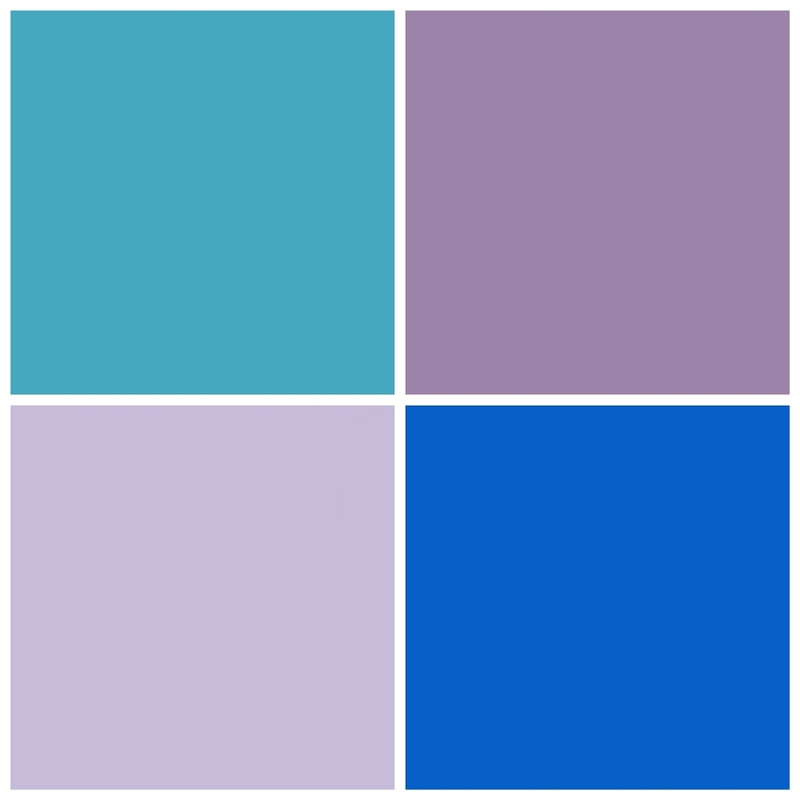 I love rainbows, so the next colour combination was a bit of a no-brainer for me. There are a couple of other stars in the making, but through sales of the Rainbow Star before christmas I raised £45 for Cerebra, an incredible charity devoted to improving the lives of children and young people with brain related conditions. I have a string of the rainbow stars in my kitchen window, and when the sun shines through (okay, not today, but other days) my dull room is completely transformed. 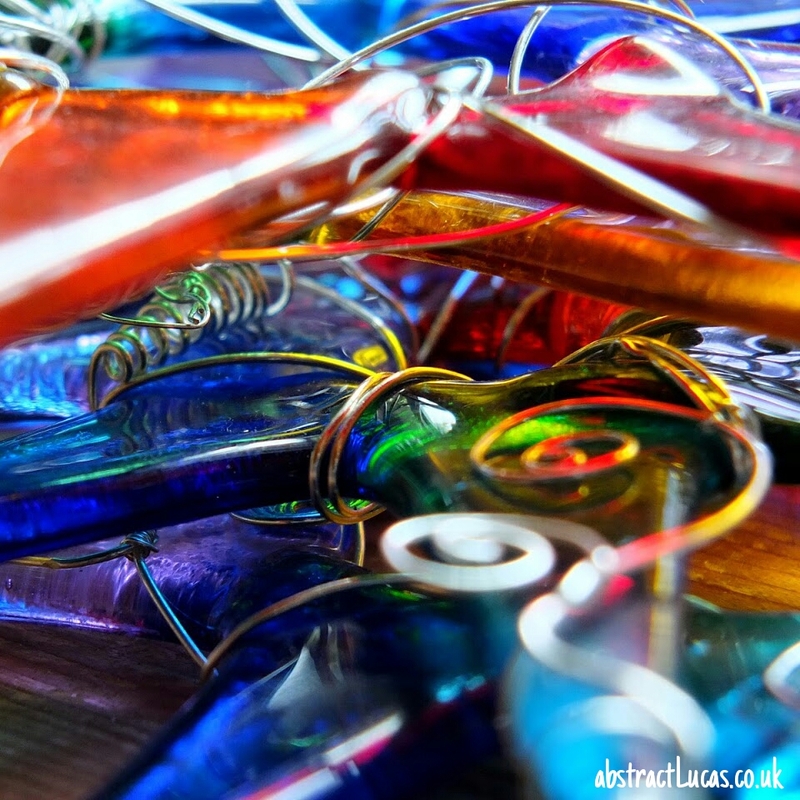 I love the mix of colours, and the slivers of colour dancing around the room are fantastic - watching certainly helps the time pass when you're doing the washing up! 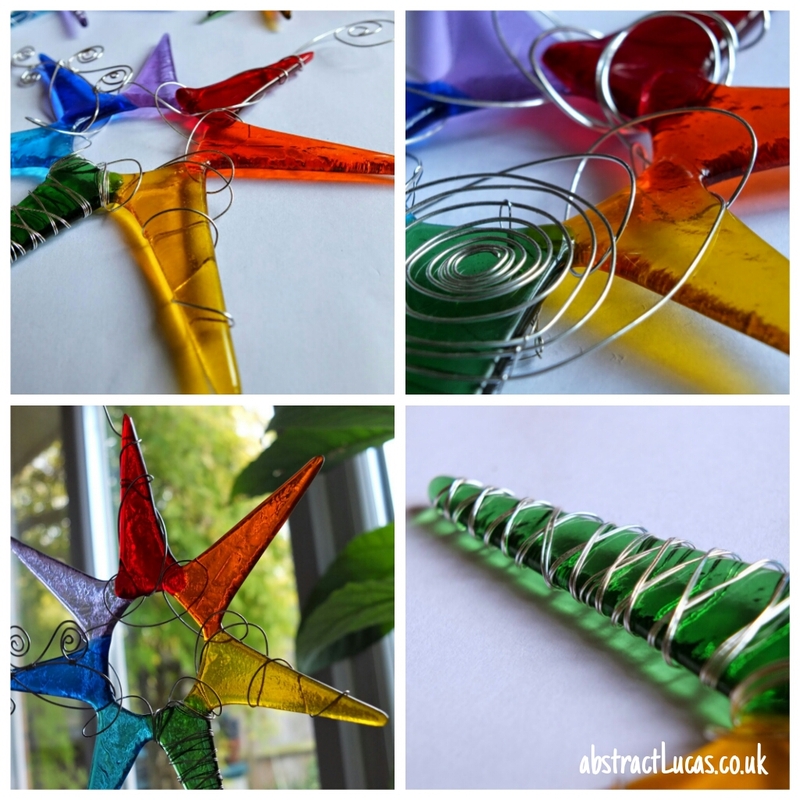 If you'd like to have your own Frozen Ice Star or Rainbow Star, either drop me a line or take a peek in my Folksy shop. They're £10 each (+£2p&p) and if you mention that you are subscribed to my blog then I'll make sure £5 goes to Cerebra.